Funds raised would help meet expansion plans as well as reduce debt. 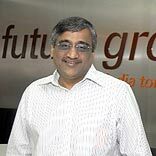 Kishore Biyani-led Future Lifestyle Fashions plans to raise Rs300 crore and utilise the funds for its expansion as well as reduce a portion of its debt. Media reports also indicate that the funds would be raised via selling shares to a group of investors including the promoter family. Future Lifestyle currently operates more than 4 million sq ft of retail space.